Our “Beginners guide to altmetrics” video is a great place to start with altmetrics. In this short video we explain what altmetrics are, how they can be applied your research and how they can complement citation based metrics. 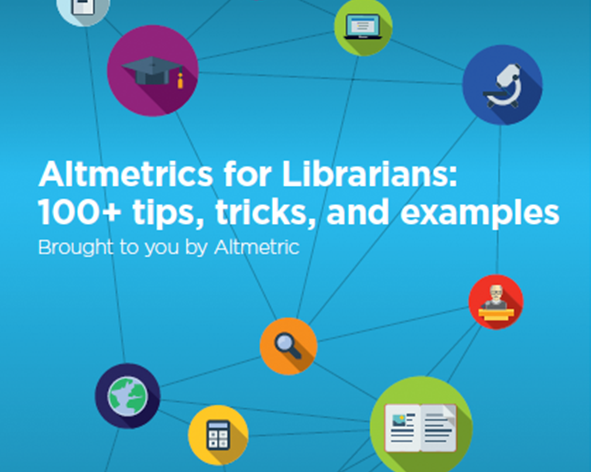 Download our new free ebook “Altmetrics for Librarians: 100+ tips, tricks, and examples” which provides the “nuts and bolts” needed for using altmetrics in a variety of library scenarios. 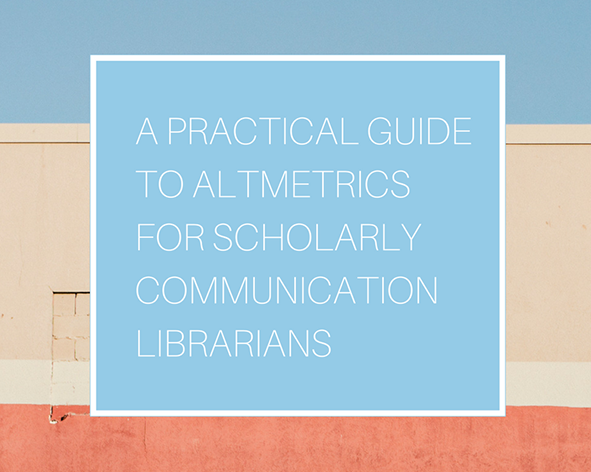 “A practical guide to altmetrics for scholarly communication Librarians” includes examples and ideas for altmetrics services for scholarly communication teams in academic libraries. 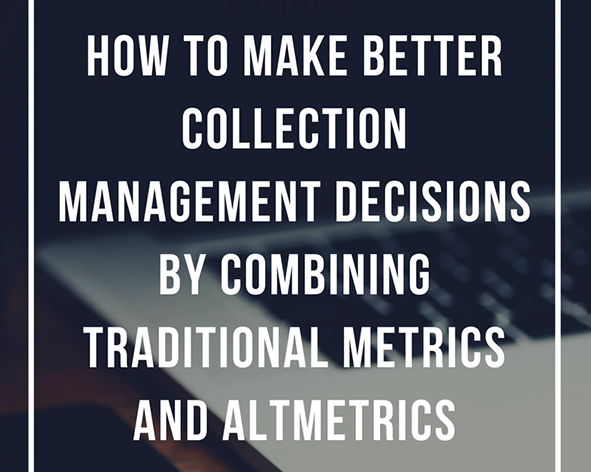 “How to make better collection management decisions by combining traditional metrics and altmetrics” discusses the pros and cons of each type of metric and their applicability to the selection of journals and books. 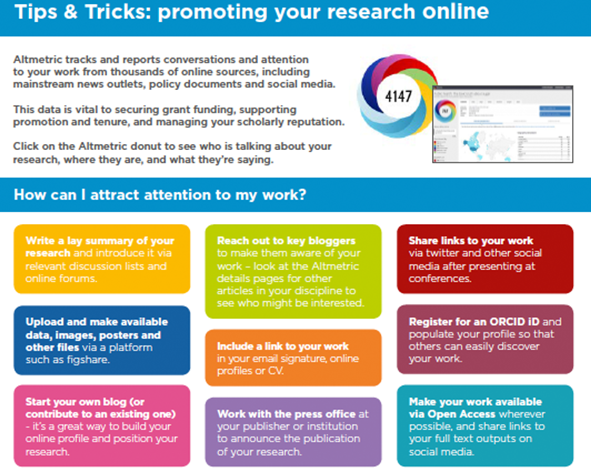 “Tips & tricks: promoting your research online” provides an overview of the tools and techniques you can use to get your research viewed by as many people as possible. 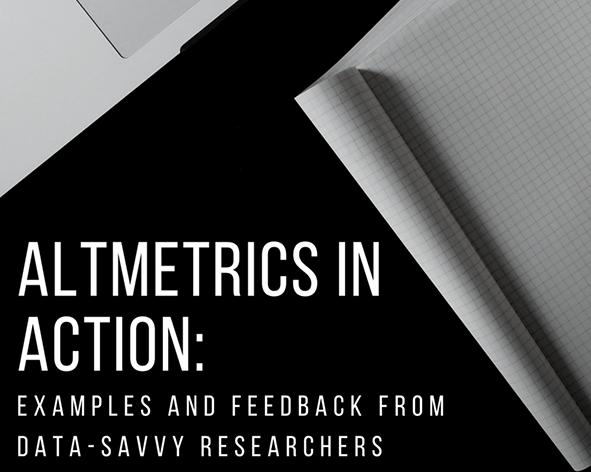 “Altmetrics in action: examples and feedback from data-savvy researchers” includes practical information on using altmetrics in your workflow. 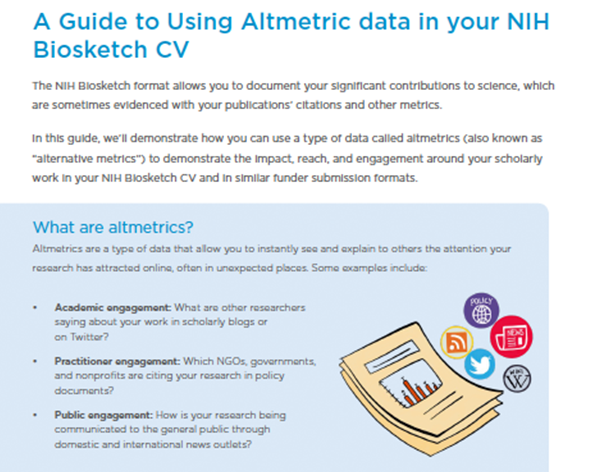 Download “A guide to using altmetrics data in your NIH Biosketch CV” for information on how to use altmetrics in your NIH Biosketch CV to demonstrate impact, reach and engagement. 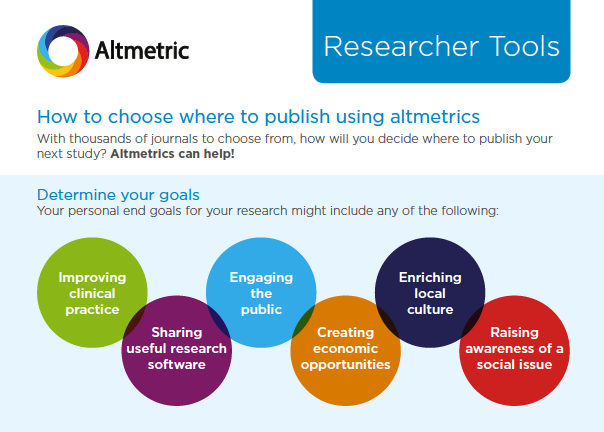 This “How to choose where to publish using altmetrics” guide will help you pick which journal to submit your work to. In this webinar on we share must-know reputation building strategies that save time and help you build connections. 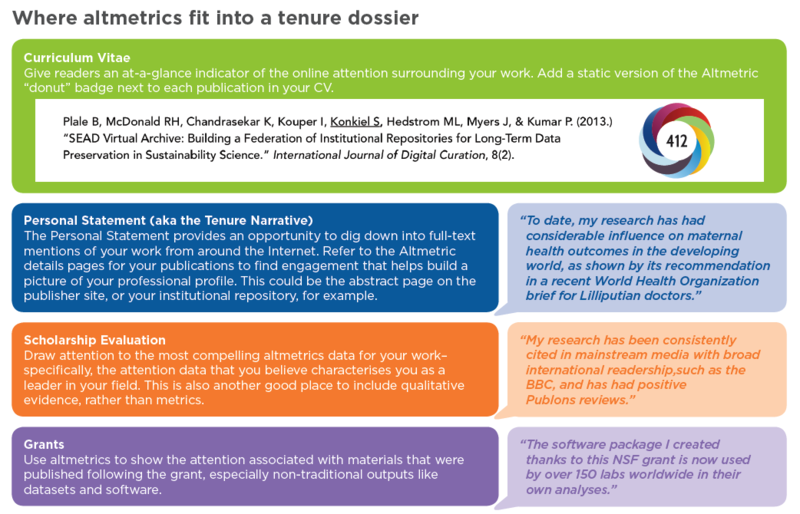 In this webinar we explain how to use altmetrics responsibly for career advancement. 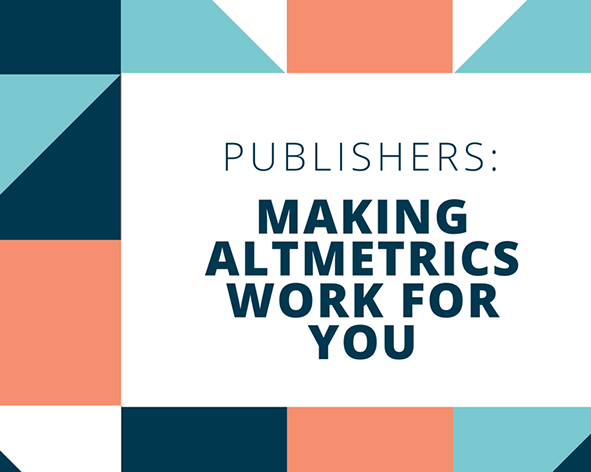 Our blog post “Publishers: making altmetrics work for you” includes information on how altmetrics can be used in marketing, editorial activities and to support sales objectives. 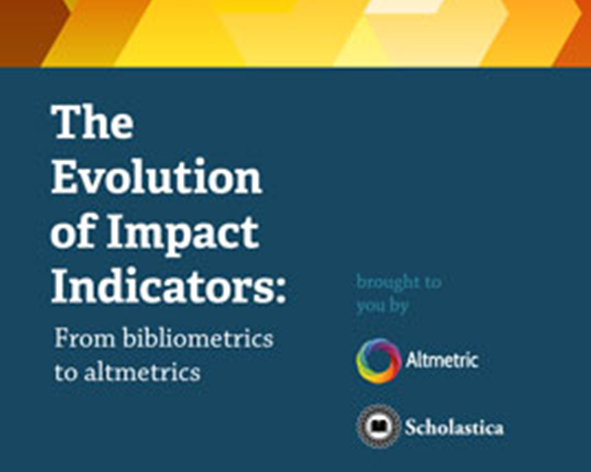 Download the ebook we produced with Scholastica: “The evolution of impact factors: from bibliometrics to altmetrics” which examines the evolution of impact and how altmetrics fit in to the picture. 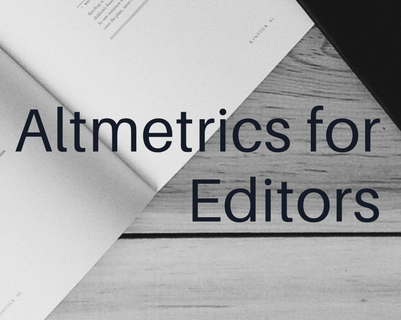 This two page “Altmetrics for Editors” guide includes all the information you need to start tracking the attention your publications are receiving online. In this webinar guest speakers from Wiley, Ecological Society of America and Michigan Publishing share their experience and advice for using altmetrics. This webinar shows you how altmetrics can be used for tracking engagement, reporting on reach and influence, identifying high profile authors and recognising trends in subject areas.